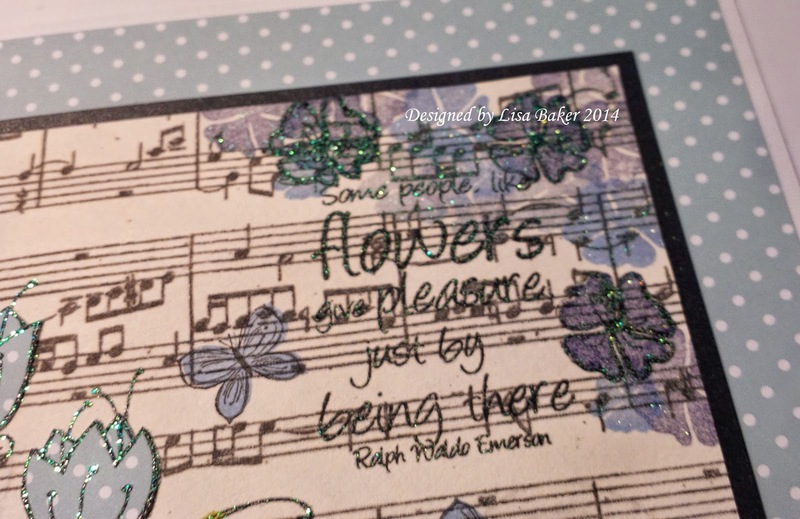 The Versacolor ink pads that I used were Black and Ash Rose. 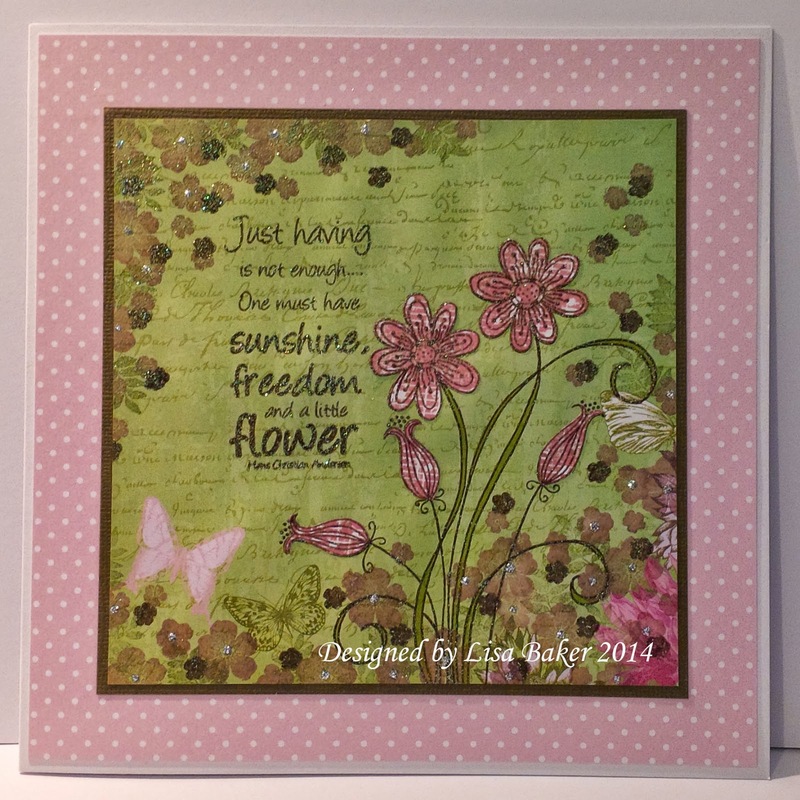 This first one is made using the Woodware Clear Magic Delicate Daisies stamp with Emily's Garden Majestic stamp. 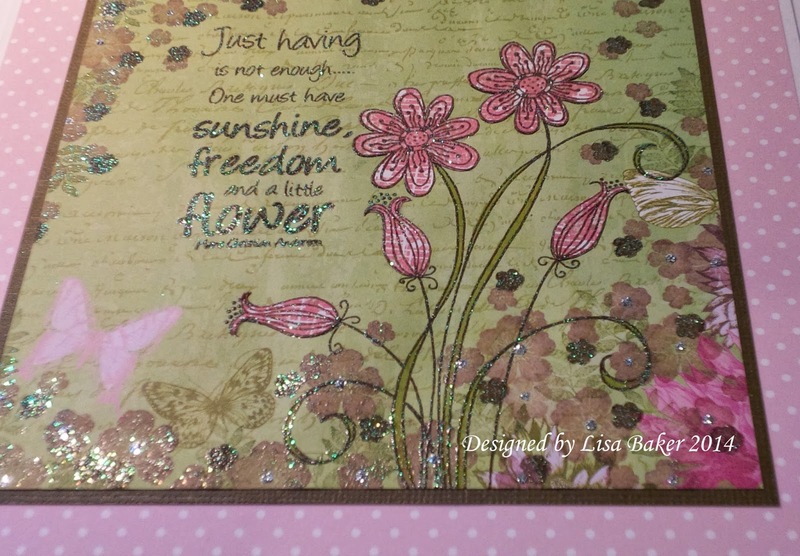 I then took a co-ordinating pink paper from the Frolic Perfect Prints Paper pad and stamped the Delicate Daisies Stamp again on to the paper again. 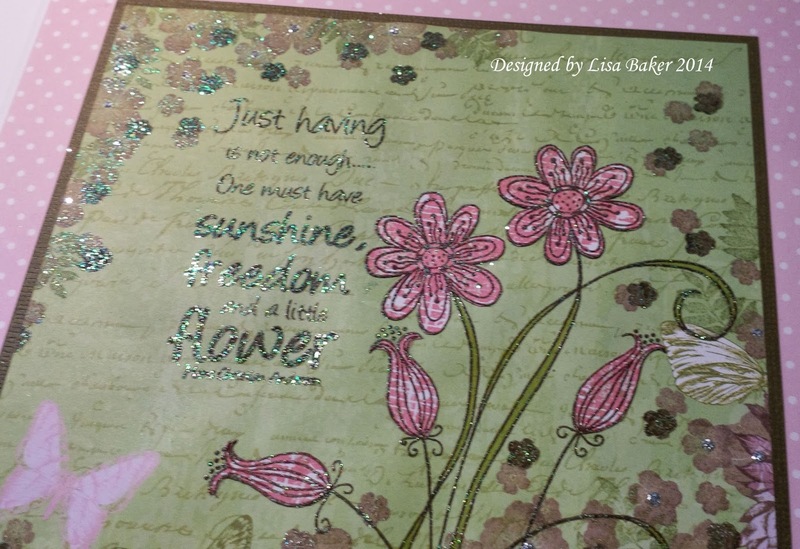 Then I cut out the flower heads and buds and paper pieced them on to the green stamped paper. 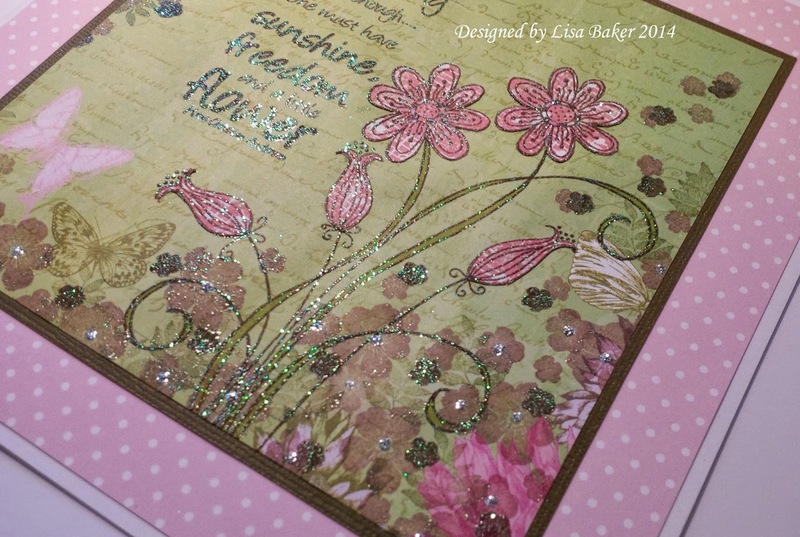 For the next one I used another new Woodware Clear magic Stamp called Burst in to Bloom, another beautiful stamp. 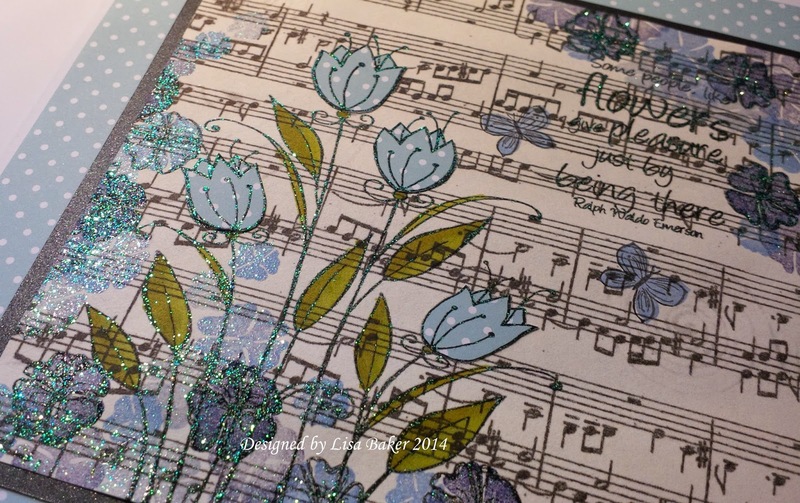 This time I stamped it on to a sheet of Music Note Kraft Paper and then used my favourite Majestic stamp set Sketchy Spring Floral to in fill the background. 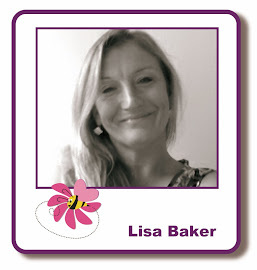 These are so beautiful Lisa. 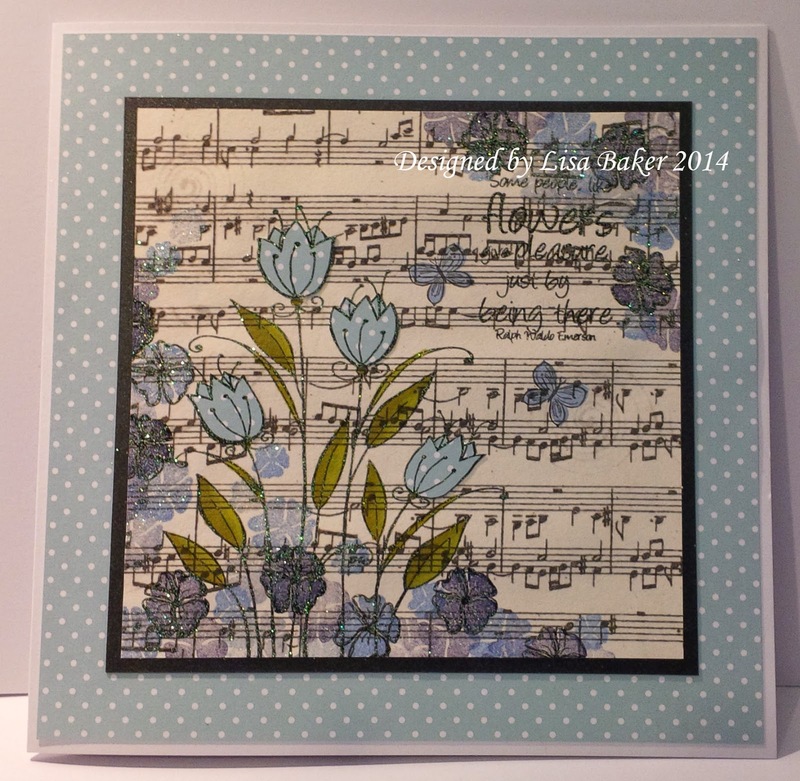 I love the images and the way you have used the Card-io stamps to create wonderful background designs. The colours are gorgeous and the sentiments are lovely too. These are gorgeous Lisa. The card-io stamps are so versatile. I have missed a couple of days so I am catching up!